It is a well-known fact that breakfast is the most important meal of the day, so why not share it with inspiring people? The aim of the event is to bring together young activists, community leaders, and volunteers and establish a network of people who would like to cooperate between each other or simply share ideas for future projects in the city of Krakow. 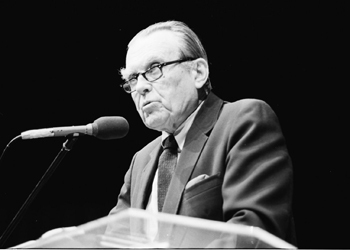 For four days, the city of Krakow will host several events – including workshops, meetings with the authors, debates, concerts, and much more – dedicated to Czesław Miłosz. Check the full program (both in Polish and English) here. Screening of the well-known Norwegian movie King of Devil’s Island, based on the true events that occurred in the correctional facility of Bastøy Boys Home. As the organizer of the event suggests, forget about the internet reviews and come to watch the movie just to find out during the screening what it is going to be about and how the plot will evolve! This Saturday, the Berlin-based vegetarian restaurant Yafo run by Israeli-German collective will bring to our city the good vibe of Tel Aviv and Berlin, for the coolest Shabbat breakfast in Kazimierz! Come to Cheder and enjoy the unique atmosphere and flavors of this Polish-Israeli-German Shabbat! How To Ruin A Great Play! This production revolves around acclaimed theatre director James Jarvis as he attempts to put on his masterpiece play. Unfortunately, things get off to a disastrous start for the professional director when he’s told he’ll be working with amateur actors! Then there follows cast disputes, hilariously bad acting, cast shortages, and his relationship (with the leading lady) going horribly wrong! How To Ruin a Great Play!, performed by the local Krakow King’s Players, guarantees laughter and is a perfect show for those who love a traditional British comedy. Sean Gasper Bye, Tul’si Bhamry, Jennifer Croft, Scotia Gilroy, Antonia Lloyd-Jones, and Ursula Phillips are the translators who will guide us in this journey through the most interesting pieces of Polish literature.